As helpful as autocorrect can be, it’s also a huge pain at other times. Everyone has typed out a sentence without looking only to find a jumbled mess at the end. This can be partially alleviated by training your iPhone to make autocorrect better Fix Bad Autocorrect Entries & Train Your iPhone to Spell Properly Fix Bad Autocorrect Entries & Train Your iPhone to Spell Properly Is your AutoCorrect a piece of ducking shiv? That's probably because your iPhone dictionary is full of misspelled corrections and words that make no sense. Read More . One of the areas where people can feel the adverse affects of autocorrect is when typing swear words. This won’t pertain to everyone, of course, but those who use colorful language in text messages have probably found their phone changing the explicit text to a completely different word. Trying to manually fix it every time is irritating, but there’s a better workaround. The trick is that your iPhone will use contact names as autocorrect suggestions, so all you have to do is add any word you’d like to use as an iPhone contact. Of course, you don’t have to add any numbers or contact info for this contact. Simply having their name registered should be enough. Try it out with your words of choice, and you should find that your phone will gladly suggest them to you. Your phone doesn’t know if you’re talking to your grandmother or your best friend, however, so do take care not to end up in an embarrassing situation if you choose to do this. 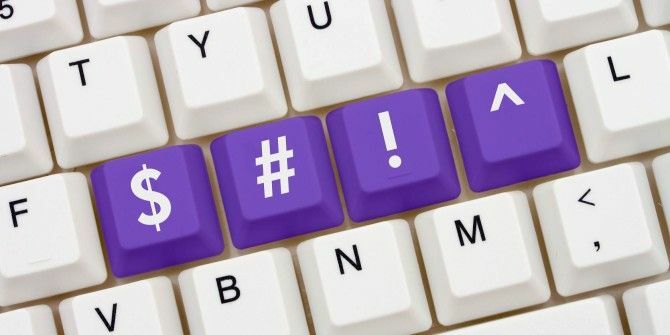 For even more swearing, check out tools and apps that feature cursing Should You Really Swear? 8 Fantastic Tools for Positive Cursing Should You Really Swear? 8 Fantastic Tools for Positive Cursing Swearing is universal across all languages. Now, experts say that foul language can be good for mental health. These tools help you with cuss words without being offensive. Read More . Are you sick of your phone autocorrecting your colorful texts? Let us know if you utilized this tip below! Explore more about: Autocorrect, Keyboard.